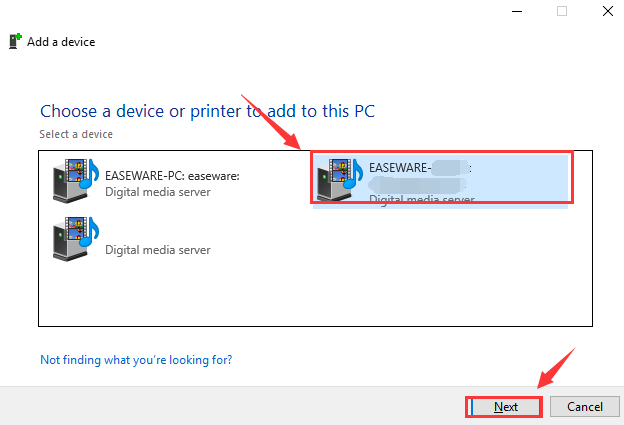 This problem has happened to users with operating system from Windows 7 to Windows 10, that you see a red X on your network connection icon and when place your mouse over it, you will see the notification: Not connected – No connections are available. The problem is, there are actually network connections available. It really bugs you when the network disconnect itself out of no apparent reason. Up till now, this problem is usually seen on laptop users when they are to use wireless connection. They know there are connections available because their desktop or other devices have access to the internet just fine. If this is what happens to you, just follow the instructions below to get it fixed! Sometimes the problem can be fixed by simply unplugging your router, waiting for at least 1 minute and then plugging it back on again. If you have not yet tried restart your router, do it now. The waiting is supposed to allow your router to have time to clear its memory. When you plug your router back on, wait for a few minutes and see if the error notification pop up again. If the error persists, move on to next step. 1) On your keyboard, press Windows key and R at the same time, then type in devmgmt.msc and hit Enter. 2) Locate and expand category Network adapters. 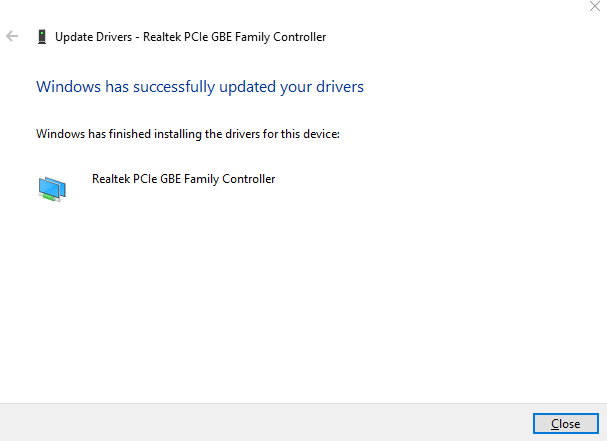 Then right click the network driver you see here and choose Update Driver. If the notification you are seeing is: The best drivers for your device are already installed. you may need to consider searching for and download and install the network card driver by yourself. 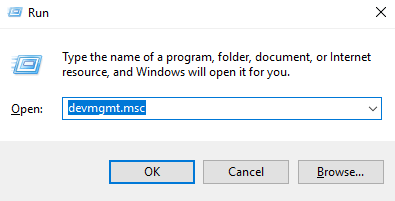 To do so, you can 1) go to the manufacturer website and then 2) type in the model name of your PC to the search box for wireless card driver; 3) choose your own system. 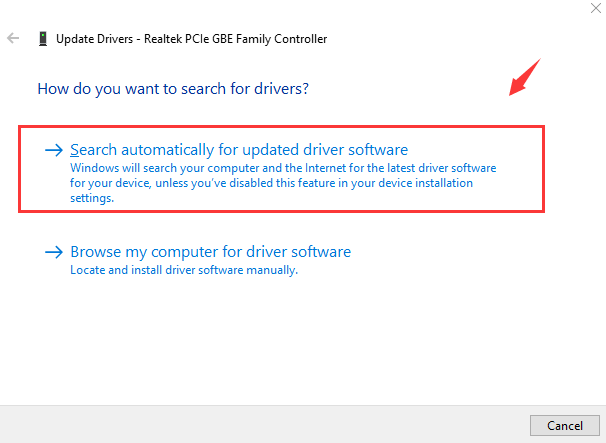 4) When you locate the needed driver, hit the Download button; 5) install as instructed; 6) restart your computer if prompted. 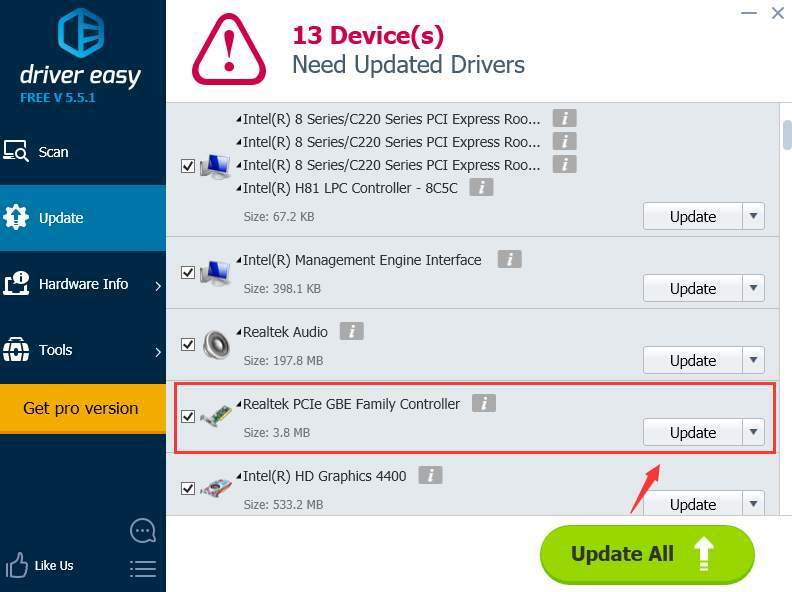 If you are not sure how to do it, feel free to have a try at Driver Easy, the automatic driver updater that helps you detect, download and update (in pro version) needed and missing device drivers. 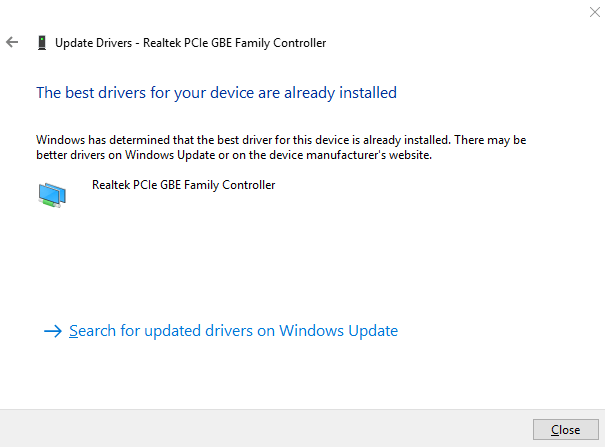 You just need to click the Scan Now button and then the Update to get the device driver you need downloaded! Fast and easy! The free version and pro version are equally capable of helping you detect and download device drivers. With pro version, you are able to enjoy all the features in Driver Easy. Moreover, you will be in good hands with our experienced technicians helping you with your driver problems. Should you not 100% satisfied with the product or service, just ask for a refund 30 days within the purchase and we will take care of it asap. 2) Locate and expand Network adapters category. Then right click the device you see here and choose Properties. 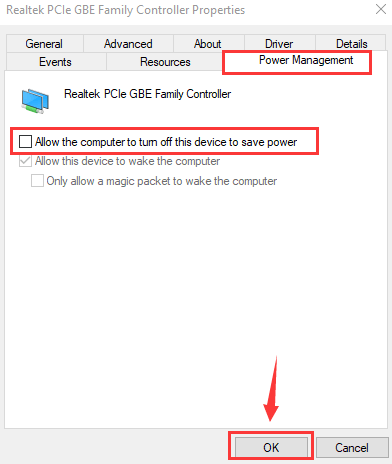 3) Then navigate to Power Management tab, and make sure the box for Allow the computer to turn off this device to save power is NOT TICKED. Then click OK to save the change. 4) Now, on your keyboard, press Windows button, then choose Control Panel. View by Large icons and choose Power Options. 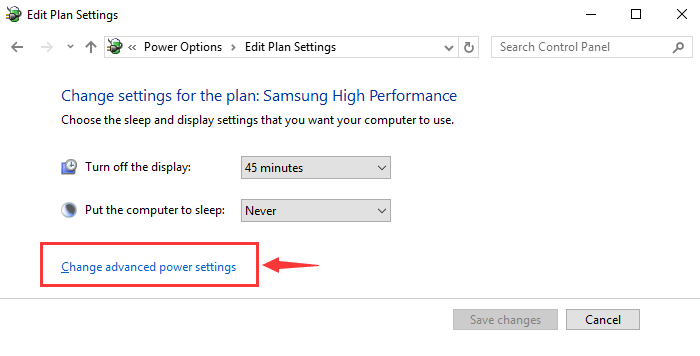 5) Click Change plan settings for whichever plan that you are having now. 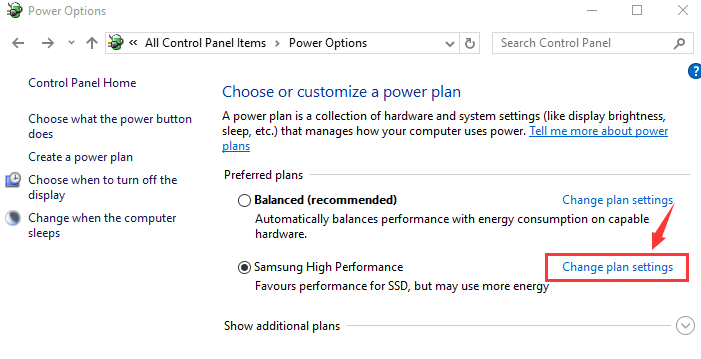 6) Then choose Change advanced power settings. 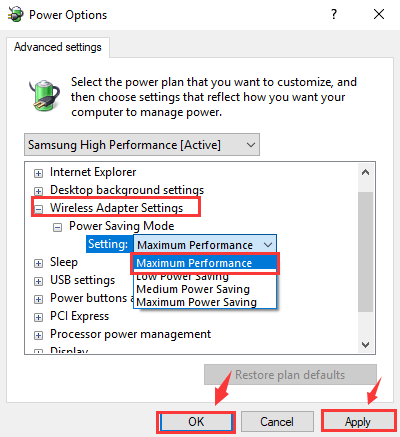 7) Locate and expand Wireless Adapter Settings and then expand Power Saving Mode. Choose from the drop-down menu Maximum Performance. Then click Apply and OK to save the change. 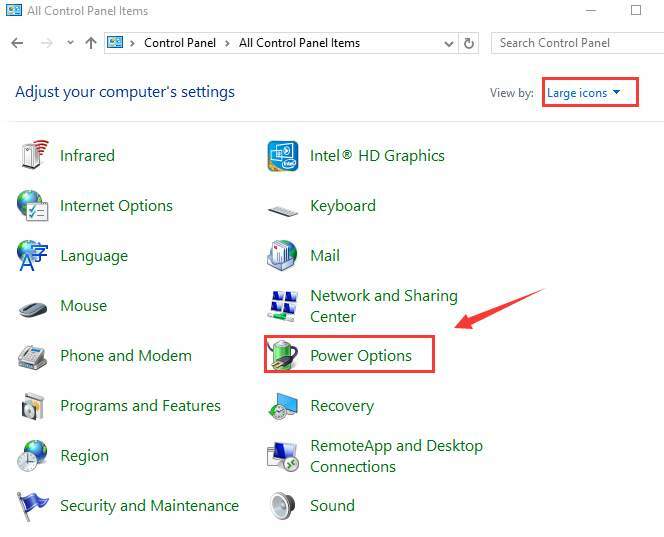 1) On your keyboard, click Windows button and then choose Control Panel. View by Category and then choose Add a device under Hardware and Sound item. 2) Wait for the wireless connection to be detected. Then select it and choose Next. It will be installed automatically. 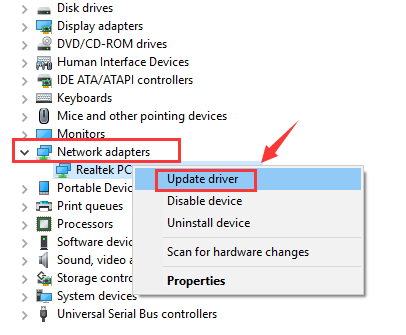 1) If updating device drivers are not helping you with the problem, please try to roll your network card driver to its previous version in Device Manager. 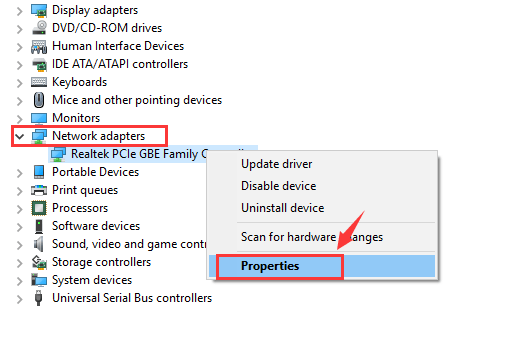 Or in some other cases, re-installing the network card driver helps to solve the problem as well. 2) You can also delve in the firewall settings to see if the problem was caused by some firewall settings. If so, disable certain firewall settings for the time being. 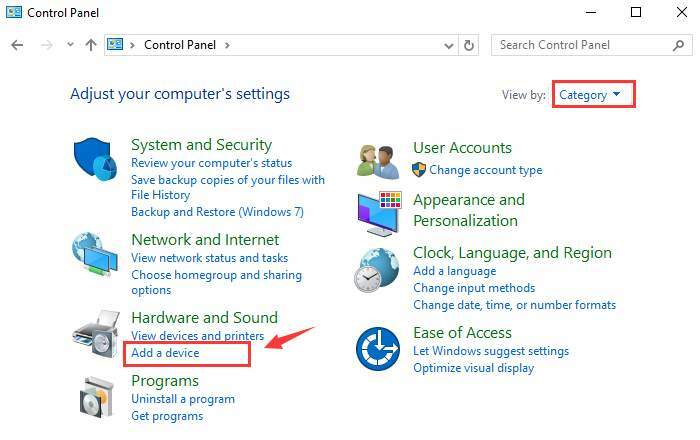 3) If you are with Windows 10 and have tried all the above methods but still no avail, it is suggested that you perform a reset on your computer. But please bear in mind that this should be the last resort you turn to. If you need any assistance, please feel free to leave us comment.